Omega starts of pretty good with a interesting plot and some pretty good character development. However, the story felt dragged on and is a lot more kiddish than the original Saint Seiya series. Also, a lot of things become predictable, but the animation is pretty good. If you like Saint seiya you should give this a shot, but don't expect much and also the series is non-canon. This series is what got me into anime 20 years ago. I was displeased with what they did with the elemental rock, paper, scissors mechanic; however I am pleased that they did away with it and went back to the essence of the series and built up hugely epic scales the battles and the involvement of the gold saints. It definitely takes advantage of almost all of the cannon in the series and takes it to another level. Highly recommend you watch it from the beginning of the series. I know it's a lot of time but it is worth it. To make a long review short, it's not good. That being said it isn't horrendous but the plot rarely has multiple layers and beats the "winning by willpower" theme to death. If you haven't watched any Saint Seiya or just want to watch some to kill time by all means go ahead. If you're a long time fan, you'll probably be disappointed by the outright slaughter of characters from the original series (character wise). Also one the main new Saint decides to be a rock and roll singer.... bruh. Saint Seiya Omega, The New Generation of Saints has arrived and most of them you can have back. Sure the one or two interesting characters you hope will stay but all in all the cast reeks of mediocrity. A hero that does nothing but get told what's right and wrong without thinking for himself. A ninja that (though obviously the coolest character) feels forced in, a son of the former Dragon Saint, the burning underdog Soma, and a girl. (What you mean Yuna actually contributed in some way other than being a different gender?) The story starts fast and high octane drawing you in quickly, but that's only so you don't look too closely. The story goes as follows, Ares blah blah blah Athena blah blah blah rescue blah blah blah development blah blah blah dead character blah blah blah Eden being a whiny prick blah blah blah Koga has darkness blah blah blah friends force him to never use it despite the fact it's clearly his forte blah blah blah Yuna might have said something important (dunno all I hear is her stating her gender every line) blah blah blah Gold Saints blah blah blah Seventh Sense blah blah blah Koga finally thinks for himself and uses his badass darkness Cosmo blah blah blah cliche ending and rinse and repeat. I'd say really the one thing that bothered me the most with this anime is the message it gave me. "If a part of you isn't 100% what other people conceive as GOOD then never show it mention it or use it and pretend it isn't there. There were so many instances where I was "Okay NOW he's going to use darkness and realize it's not the power it's how you use it and become the Saint of Light and Darkness" but no every time it was the same old darkness is bad because darkness spiel. I'd recommend this anime only to show what happens when you over rely on cliches. Never Give Up! Saints, a Beacon of Hope! I personally like this anime a lot. I also find it (against the majority expressed opinion) better than the original and other series. I have also watched most of this series save for 20 or so episodes. I have also watched all of the 'Pallas' Arc, up till the end of the series. In this show you'll find a lot of decent action, good character growth, surprising plot twists, and good life lessons. Let's talk about the action. You'll see a lot of hand to hand combat. And there's even the idea of elemental cosmos. You don't really get the elemental cosmos idea in other series. These elements play a role in the first seaon/half of the series. The main characters get a few 'signature' moves that they'll usually go to. They won't always use them, but a lot of times they will. It's also pretty cool to see how these powers (cosmo and techniques) develop. The character growth. At the beginning of the series, Koga is seen as a baby. He is then later shown as a teenager and is set on a journey to save Ah-ten-uh (Athena). Along the way he gains some new friends, meets new people, and sees a variety of new places. How his strength and cosmo develop are also a topic within the series. The surprising plot twists are just great. You won't usually see them right away. When something seems to be going one way, it will turn into another. You'll just have to watch and be on the look out to find out! Good life lessons. There is a lot of 'never give up' shown in this series. Never giving up too easily (in my opinion and in my life) is an essential part of life. Many things can be accomplished this way. There is also lessons of having good morals, doing the right thing, team work, perseverance (never giving up), valuing life, and protecting the earth, among other things. Overall just a great anime. But there is a little bit of drag. So just don't give up! And always try to see the good in everything! Too much of everything, lack in texture. First of all, don't want to overly comment on the artwork & anime style, as this can be a very preferential opinion. But personally, I don't really like the clothes' design in general, every suits have too much going on, way too flashy and losing the elegance from the original series and from the Lost Canvas series. In terms of the story development, I can see how the storyline trying to create a linkage between the current generation of Saint with the past (i.e. 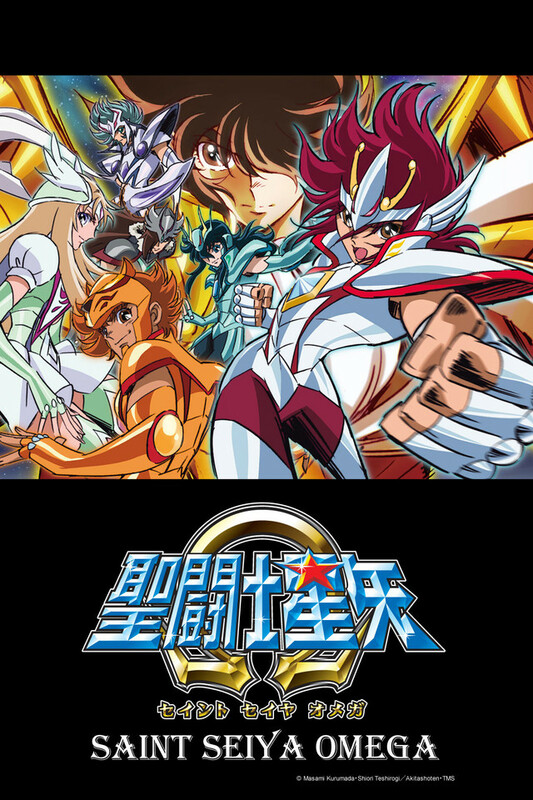 with the original main characters of Saint Seiya) and developing a successive new generation of Saints. Trying to bring the audience a sense of nostalgia for the old fans and at the same time giving the whole Saint Seiya series a reboot with a new set of characters and story-line. However, I think the author is trying to achieve too much in one series and maybe in doing so, this series developed way too many characters and too many story plots. I was finding it not enjoyable as there are way too much going on at the same time but without texture. Even if I am not watching episode to episode, I still don't feel like I am missing much as the story line and the dialogues are lacking in quality anyway. The best way to watch this series is, knowing the general background of the story, which is there are a new generation of Saint with a whole new different war, then randomly select a few episodes and watch til the last one, then at least that way it save me some time for watching other better anime. I had recently finished Saint Seiya The Lost Canvas on Crunchyroll. The ending was quite the cliffhanger and wanted to know what happens. This will not answer any of my questions. This is not what I wanted. It was hard enough to get pas the animation style. This is horrible. I think I'll just try to download the original Saint Seiya. Since it's not offered on Crunchyroll and it seems it went over quit well with other fans of Lost Canvas. This, instead of Lost canvas? Let me say i was horribly disappointed that the lost canvas was cut short at 26 episodes but this P.O.S get 97 so far? what is going on with anime these days it seems like anything worthwhile gets cut short. the art in Omega is BAD!!! the sorty line is baaaad! everything just falls so short i can't believe it. If you like this, then fine, you're entitled to your horrible opinions. 1. Horrible animation. Is it just me, or are the illustrators of Omega super lazy. Cloths no longer look like armor, instead they are more like tights that the characters slip on. They seriously look like poorly done Halloween costumes. I understand they are doing a new thing with story, but the changes are BAD. I know the animator has some good stuff under his belt, so what's this crap? There's no more elegance that the previous two series had. The art really reminds me more of power rangers than it does of Saint Seiya. 2. Characters. As much as I liked seeing Kiki as the next Aries Gold Saint, Shiryu's son, and other familiar faces. Personally, I'm kind of tired of seeing Seiya and team. I don't mind them being in the anime, but I do wish Seiya and team played smaller roles like mentors or teachers and not active Saints. Kiki's role should stay as the Aries Gold saint but a much older version, perhaps even Pope. Ionia's character was super random and made no sense. A man who was imprisoned for going against Athena is once again reinstated to be a Gold Saint. WTF? Sure, something similar happened to Kanon, but at least he was tested by Milo. 3. Mars. How did we go from Greek gods to Roman gods? While there are a lot of similarities, the Mars equivalent in Greek is Ares. Why didn't they just use him? I understand that their mythology crosses between multiple words like Norse mythology and so forth but this is just weird..
4. Stale battles. One thing that LC started doing was making fights a little more clever. In previous arcs, most of the wins from fighting was based purely on power levels and a fighting spirit of sorts. I was hoping that the fighting now would be more clever instead of just using the same move over and over until it finally wears the enemy down.